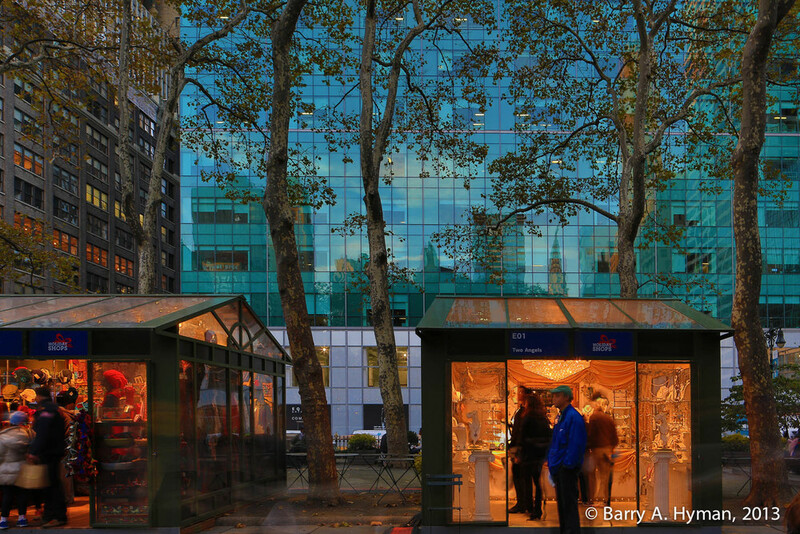 While attending The Inside Perspective on Digital Architectural Photography with Angel Eduardo and the International Center of Photography in Manhattan, professional photographer Barry A. Hyman shot this photo with a 24mm shift lens in Bryant Park. Bryant Park is a 9.603 acre privately managed public park located in the New York City borough of Manhattan. It is located between Fifth and Sixth Avenues and between 40th and 42nd Streets in Midtown Manhattan.